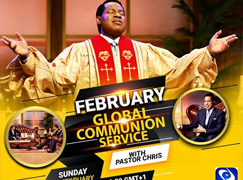 The highly esteemed Pastor Lanre Alabi welcomes the global audience. 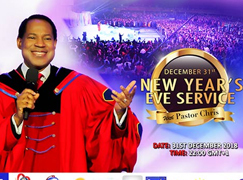 The most widely televised New Year’s Eve event in the world kicked off with celebration and thanksgiving. 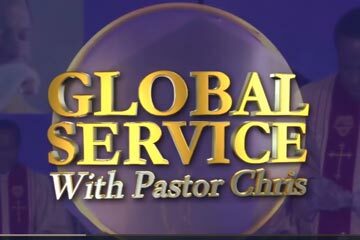 Inspiring talkshow segment during the service. 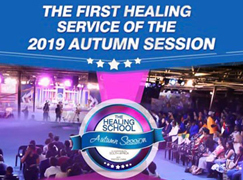 The service was off to a phenomenal start with inspiring testimonies from the year 2018 and stirring music and arts ministrations. 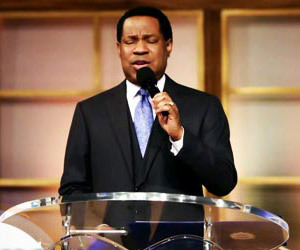 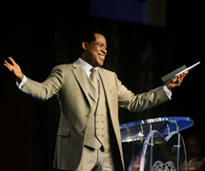 Cheers and applause from an eager and expectant global audience met as Pastor Chris took the stage. 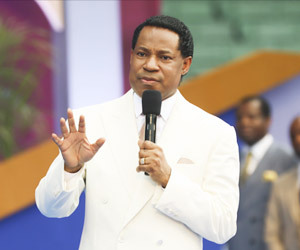 The grace, words and power of the Spirit that will define the destinies of participants in 2019 was soon be released as the man of God declares what the Spirit says for the year. 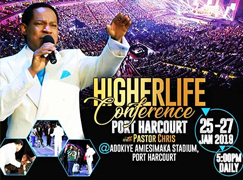 Pastor Chris declares 2019 as the year of LIGHTS! 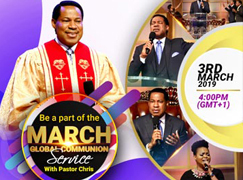 LMAM artistes, CSO and Israel Strong, ministers to the congregation. 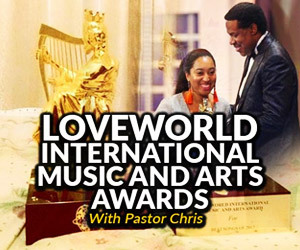 Beginning five years ago, the Future Africa Leaders’ Award, an innovation of the LoveWorld President, has been recognizing the commitment of young leaders to the progress and development of the continent at every New Year’s Eve Service. 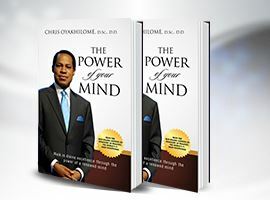 The Director of the Future Africa Leaders’ Foundation shares more about the efforts of the foundation with the global audience. 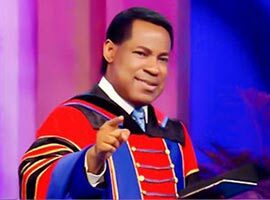 The man of God, Pastor Chris, presented the year 2018 winners with trophies, acknowledging their work, along with a token of encouragement in the amount of $10,000 for each winner and $25,000 for the Star Prize Winner. 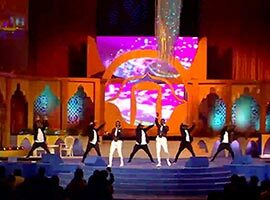 This year’s winners are: Dahaba Daniel Sakoh (Senegal); Yusuph Gasase (Tanzania); Maame Yaa Addei Mensah (Ghana); Godwin Egba (Nigeria); Isaiah Deng (South Sudan); Ngassa Merlin (Cameroon); Taonga Ngoma (Zambia); Chris Iyama (Nigeria); Lantante Duamangue (Niger); and, Deliwe Makata (Malawi). 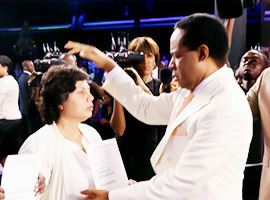 A FALA 2018 Winner celebrates her recognition. 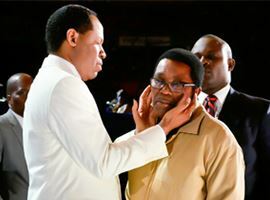 Pastor Chris recognized social and economic impact of young South Sudanese leader, Isaiah Deng. 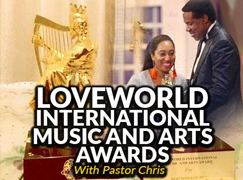 Out of the 30 nominees for the Future Africa Leaders’ Award 2018, ten young people from different African nations were honored and encouraged to do more as winners of the prestigious recognition, announced at the Future Africa Leaders’ Awards. 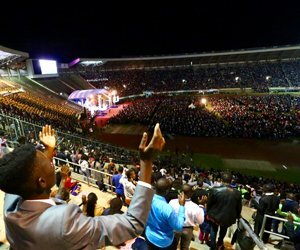 FALA Star Prize Winner, Isaiah Deng, received his award. 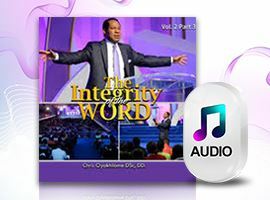 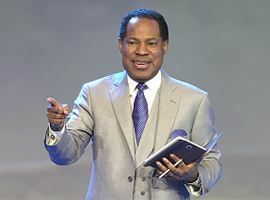 Congregations around the world anticipated the word of the Spirit for 2019, as Pastor Chris welcomed them into 2019. 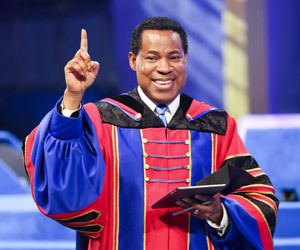 Few Moments later, the LoveWorld President, Reverend (Dr.) Chris Oyakhilome welcomed the global congregation into the year 2019 as the LIVE program broadcasted from the LoveWorld Convocation Arena in Lagos, Nigeria. 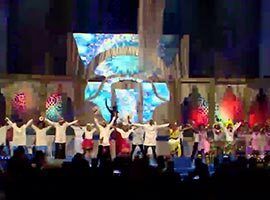 Participants around the world eagerly anticipated the prophetic word for the year, being serenaded and danced to the tune of music by LMAM artistes, Eben, Joe Praize, Password and Testimony Jaga. 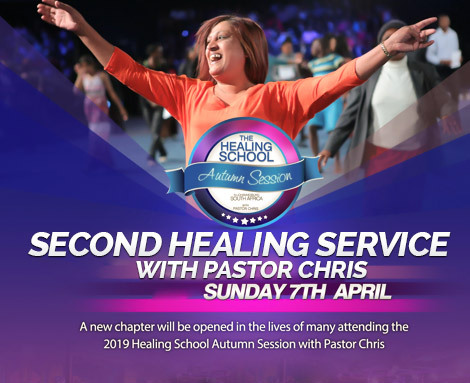 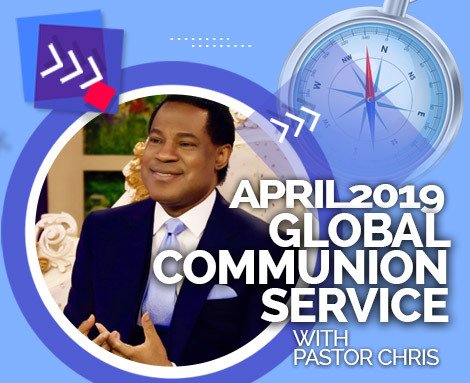 Shortly after, audiences around the world crossed into the new year with the man of God, Pastor Chris led Senior Pastors in the LoveWorld Nation in a special thanksgiving to God for a supernatural year. 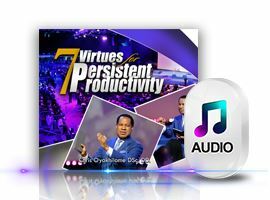 LMAM artiste, Eben, ministers in song. 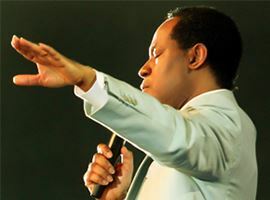 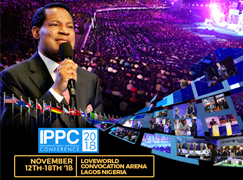 “2019 is the Year of LIGHTS,” Pastor Chris Announced to Global Congregation! 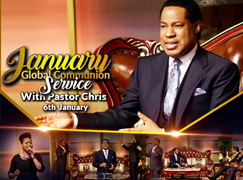 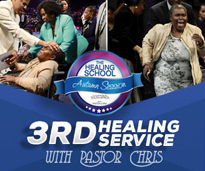 The much-anticipated moment of the New Year’s Eve Service with Pastor Chris finally came as the man of God, Reverend (Dr.) Chris Oyakhilome, declared 2019 to be ‘the Year of LIGHTS’! 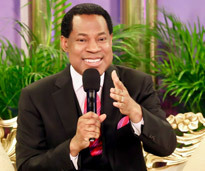 “This year, you are going to shine ever so brightly,” the LoveWorld President said, further qualifying the prophetic insight for the year. 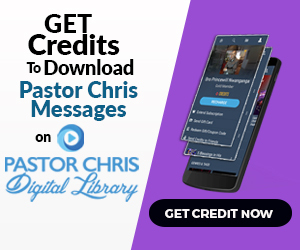 Expounding on this defining word of the year, Pastor Chris shared four important things about light: light is for illumination; light gives leadership; light gives empowerment; and, light is for signs and seasons. 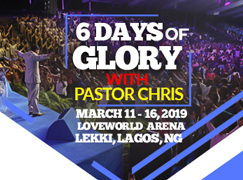 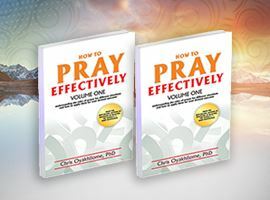 These four types of the light, as described by the man of God, have positioned a most glorious year for LoveWorld citizens and participants in the service all over the world.